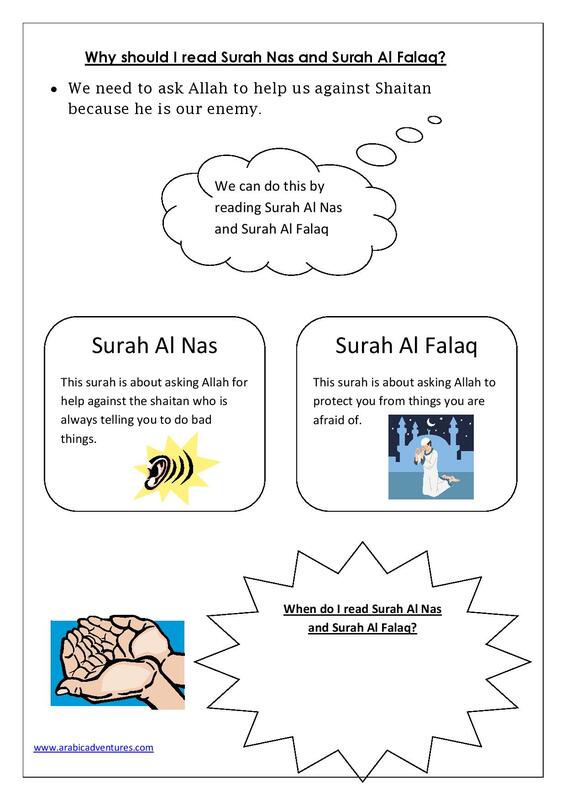 A few years back I used to teach Year 3 who were learning Surah al-Nas and Surah al-Falaq masha Allah. Here is one of the worksheet I handed out to the class. I hope you find it useful insha Allah. This entry was posted in Juz Amma and tagged arabic printables, Juz Amma, Qur'anic Arabic, Quran curriculum, quran syllabus, surah al-falaq, surah al-nas. Bookmark the permalink.